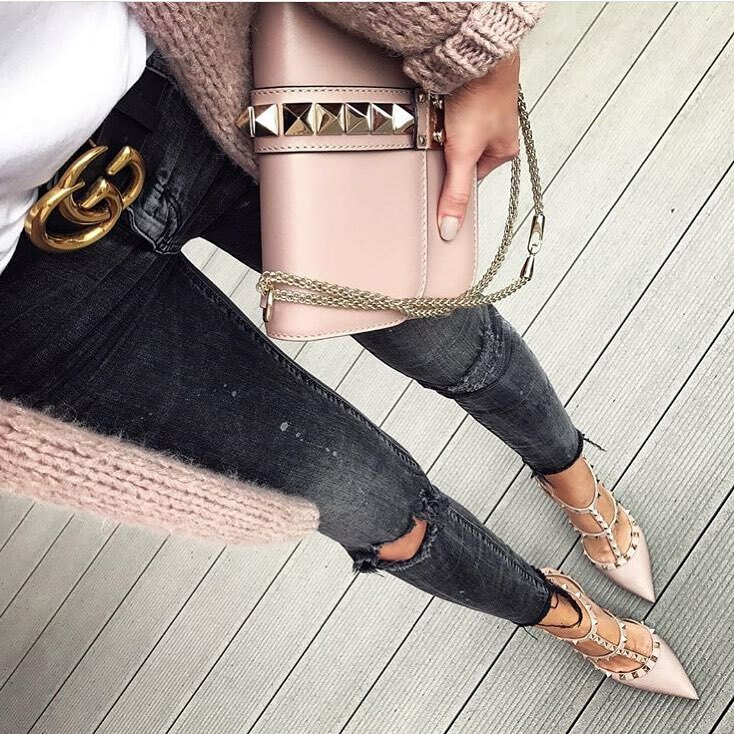 Have fun with these beautiful pointed-toe pumps with studs in blush. Try them on with grey knee-ripped skinny jeans, white tee, and blush cardigan. Complete the look by adding a studded blush clutch bag.